Doug Neff is a writer, facilitator, trainer, and speaker coach with over fifteen years of experience moving people and audiences. As Duarte's Content Director, Doug has crafted award-winning presentations that influence mindsets, sell revolutionary products, and some are literally changing the world. As an Executive Speaker Coach, he has awakened natural talents, built confidence, and inspired passion in communicators of all experience levels. In this conversation, Doug talks about Duarte’s speaker coaching services. The ZIP file that you will download contains five Night Sky Starlit Backgrounds in three resolutions: Full Size: 4000x2250 pixels (16:9), Widescreen Size: 1365x768 pixels (16:9), and Standard Size: 1024x768 (4:3). 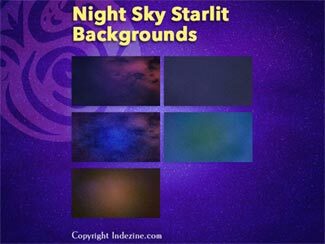 Also included are five PowerPoint Presentations with Night Sky Starlit Backgrounds, set to work with the Morph transition. Yes, these background designs can also animate between slides using PowerPoint's Morph transition. Chris Pratley is General Manager of Microsoft Sway, a new member of the Office suite of apps. His team also develops Docs .com, a social publishing site for professionals that features high fidelity Office content, and Office Lens, a cross-platform mobile app to turn photos of documents and whiteboards into reusable content in OneNote, Word and other apps. Chris lives in Seattle with his wife and two sons. In this conversation, Chris talks about Microsoft Sway. Sometimes we come across slides that can be hazardous to our vision! One look at a terrible slide, and it really doesn't matter if the content is great or not. The reason why it no longer matters is because such slides have nothing understated about them, and they seem to ensure that audiences get distracted. You might end up with a similar slide for no fault of yours, because someone else prepared them for you!